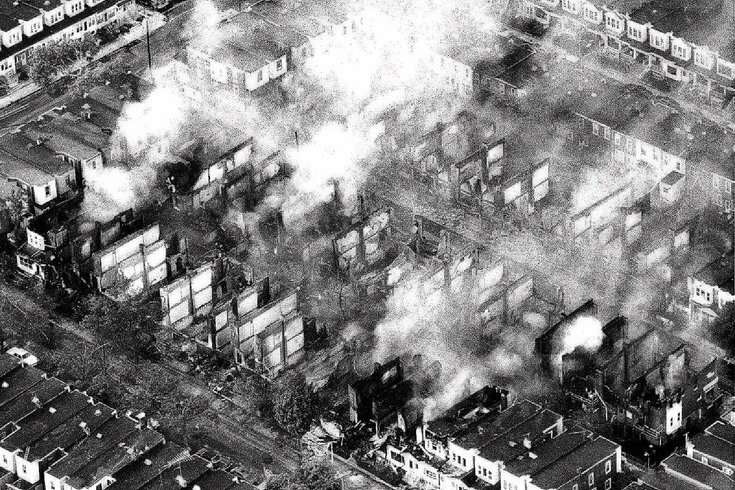 Smoke rises from the ashes of a West Philadelphia neighborhood in this May 14, 1985 photo, the morning after a siege between Philadelphia police and members of the radical group MOVE left 11 people dead and 61 homes destroyed. Nearly 20 years after police bombed the headquarters of the militant group, a federal jury on Monday, April 11, 2005, awarded $530,000 apiece to 24 homeowners who were suing the city over the fatal bombing and failed attempts to rebuild. “The AJR team has experience renovating and selling homes in Philadelphia, the financing and capacity to do this project the right way—with a high standard of work, and with sensitivity to the neighbors and community,” PRA executive director Greg Heller said after choosing AJR among the bidders for an RFP put out last November. At a community meeting Tuesday night, the principals of AJR briefed neighbors about their plans, timeline, goals for the project and experience with previously completed residential developments. The company aims to hire trained and experienced residents of Cobbs Creek and West Philadelphia, including goals of 30 percent and 5 percent, respectively, on the construction workforce and for project vendors. 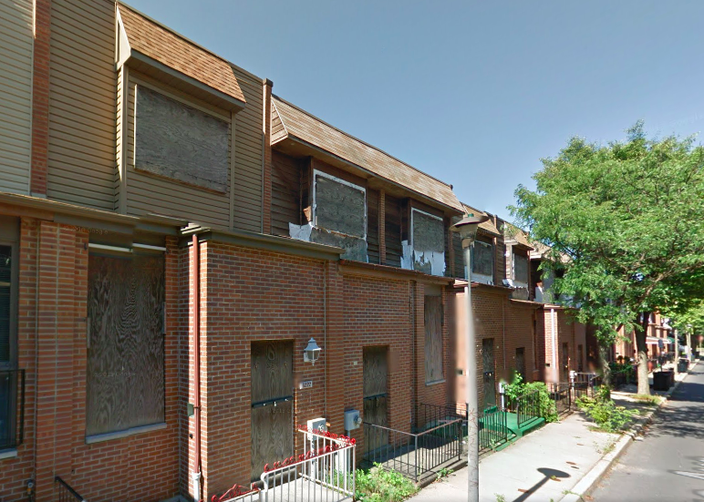 This image shows the 6200 block of Osage Avenue in the Cobbs Creek section of West Philadelphia. During the RFP process, AJR was asked to submit various background materials and renderings to PRA, as well as provide walk-throughs at current and previous projects. The developer, however, was only granted limited access to the Osage Pine site, completing four out of 36 structural integrity assessments. In the near future, AJR will conduct comprehensive assessments of the existing properties to determine whether they will be able to support design concepts in their current form. Preliminary design concepts will be presented at another community meeting within 45 days of the completion of the assessments. The city's acquisition and approvals process is expected to extend another nine months before the AJR can be authorized to begin rehabilitating the properties. Once that begins, the developer anticipates a turnaround in approximately 24 months. Unlike the city's prior rehabilitation of the 36 properties, AJR will seek private financing for the project and will manage the sale of the units, which they said will be valued in the range of $175,000 to $200,000. "We understand the significance of the Osage Pine Project and will also be heavily invested, as the neighbors certainly have been for years, in these homes, from both a reputational and a financial perspective," said AJR's James Robertson. The 24-hour siege and bombing at 6221 Osage Avenue on May 13, 1985, and the fires that engulfed the surrounding properties, are remembered as an unprecedented example of an American city choosing to bomb its own citizens. The operation, which stemmed from MOVE's armed protest of the incarceration of nine of its members, left 11 people dead including five children. Philadelphia paid $1.5 million to a survivor and relatives of two MOVE members who died in the fire as a result of a civil lawsuit in 1996. We knew, by design of the RFP, that this would not be a project wherein the developers' responsibility would end, once construction is completed," Robinson said. "We are committed to Osage Pine, and its success, for the long term."